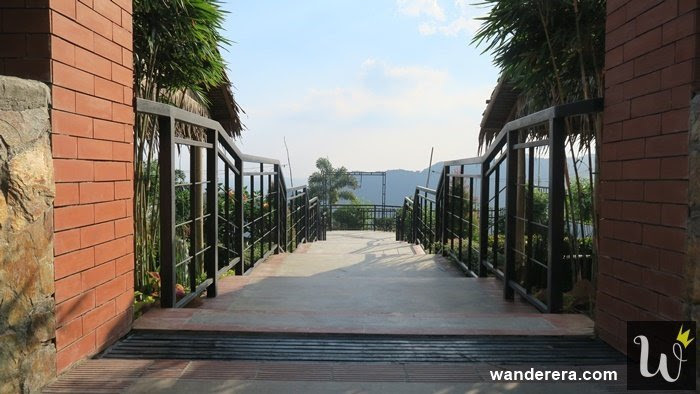 So without further ado, here are the five reasons why you should also check out La Veryol’s in Tagaytay. I’ve always been curious about Tagaytay. People say that it’s the second coldest city in the Philippines. Having lived in the first coldest city in the country, I’ve wondered how cold the second would be. While I was scrolling down Facebook, I saw a post on a kawa hot bath in Tagaytay. Since Antique is too far, I decided I’d check out this place – La Veryol’s Mountain Garden. If Antique is too far for you, go to La Veryol’s. It’s just a one to two hours ride from Manila. A kawa hot bath costs 399 pesos per person for a two hours dip. I went to the place on a weekday and lucky for me, I was the only customer around so the owners let me use the kawa as long as I wanted. With herbal leaves and scented oils, the kawa hot bath will help you relax. It’s the perfect way to remove all the stress from work. Plus, the kawa hot baths are placed in a location where you get the perfect view of the mountains. Aside from kawa hot baths, La Veryol’s also provides massages. 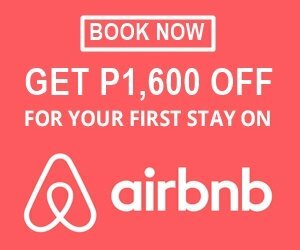 They do have a package promo where you only have to pay 900 pesos for both kawa hot bath and one hour massage instead of 998 pesos. Now that’s a steal. 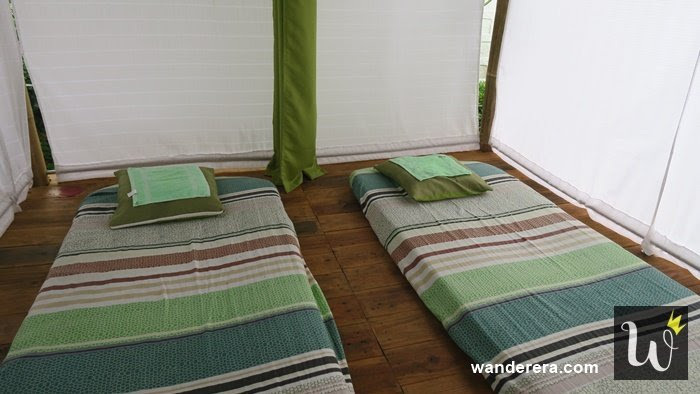 For a good night’s sleep, try the massage after the kawa hot bath. La Veryol’s offers two types of accommodation. There’s the nipa hut and the other one is glamping.Ever heard of glamping before? Basically, it’s a term created from the combination of glamorous and camping. It’s somewhat of a luxurious type of camping where a mattress, pillows, and blankets are provided. You don’t need to bring a tent, La Veryol’s will provide you with one. And in addition to all the ones listed above, you will also have a light which doubles as a speaker and an electric fan. You don’t have to worry about electricity, there are electric sockets near the tents. Feel free to charge your gadgets. If you’re lucky and the weather’s fine, you can request a movie night. 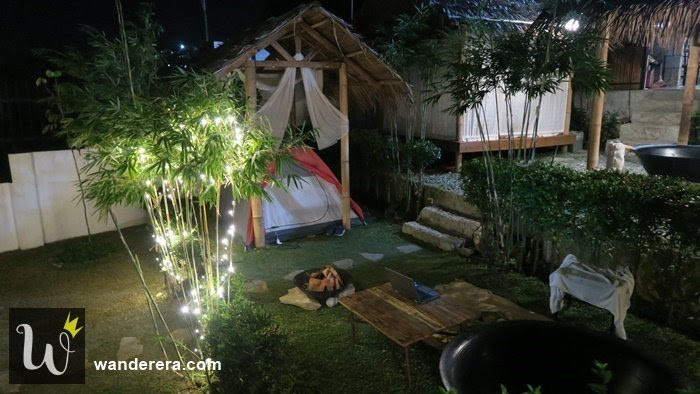 In the middle of the garden, there’s a big projector screen where you can watch your favorite movies. Make sure to watch in the evening, you wouldn’t want to disturb the other visitors who are sleeping if you watch late at night. What made me love La Veryol’s is that they provide free bonfires. Just ask the staff if they could prepare one for you. Using coconut oil and a bunch of wood, you’re guaranteed to have a warm night. You can contact La Veryol’s on their Facebook Page to reserve a kawa hot bath, massage, glamping or nipa hut accommodation. Or call their mobile numbers at 09669827433, 09392273355, and 09399067919. Here’s a quick tip, make sure to go there on a weekday. Weekends are usually full. Did you like the article? Hover over the images and pin.